I’ll be honest. I was not a fan of cauliflower rice when I first tried it. Fast forward a year or so, and now it gets subbed in as a low carb alternative to rice 90% of time. Whole grains are always an important part of our diets, but there are times when my body craves a balance of lower carbs, higher healthy fats and protein, and more vegetables. I find myself serving curries over cauliflower rice, swapping spaghetti squash for pasta, and adding sautéed zucchini and mushrooms to any entree that hits my plate. 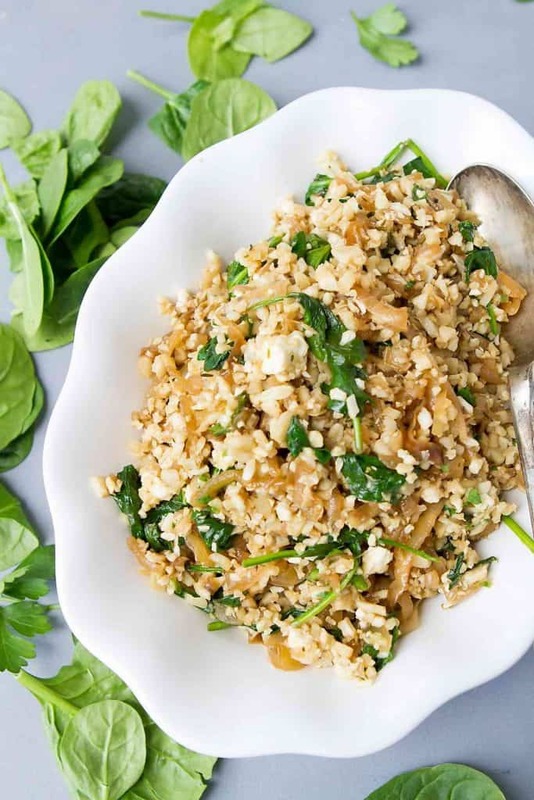 This recipe for sautéed cauliflower rice combines sweet and savory caramelized onions with tangy, salty feta cheese and fresh spinach leaves for a healthy, low carb side dish that has flavor that just won’t quit. Start by caramelizing the onions. Caramelized onions are a cinch to make, but it does take a bit of time to achieve that golden brown color. Luckily, most of that is inactive cooking time, giving you the opportunity to work on preparing the rest of your dinner. 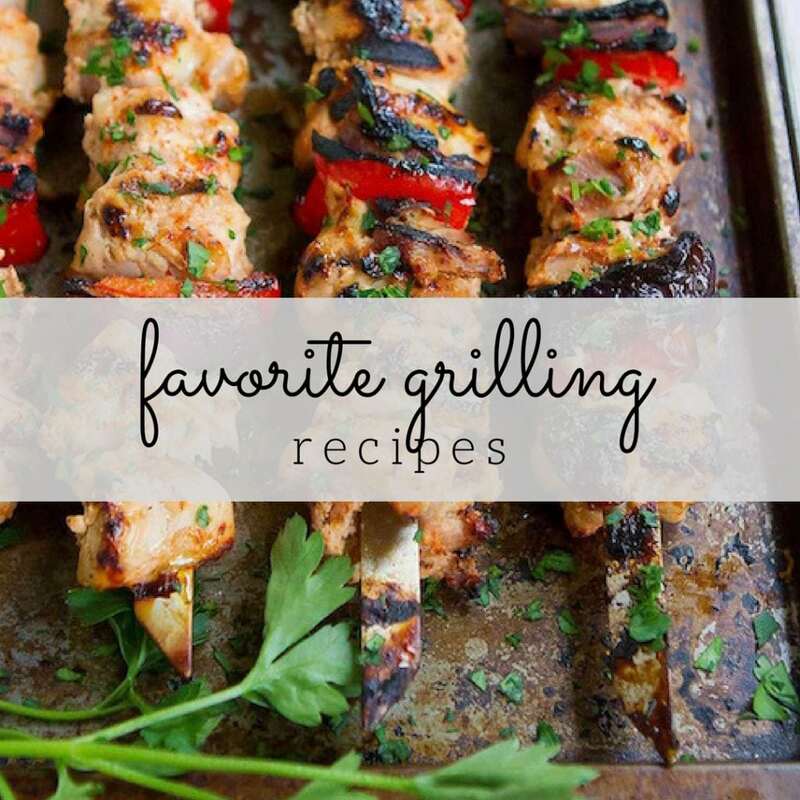 For more tips on caramelizing onions, check out this post. Once the onions are caramelized, add a dash of balsamic vinegar along with some dried thyme and garlic. In goes the cauliflower rice, which is sautéed until tender. Last but not least are the fresh spinach and feta cheese. Stir just until the spinach is wilted. Serve it up! How do I make cauliflower into rice? First, remove the leaves and cut off the base of the cauliflower. Next, cut the cauliflower into large florets. Place the cauliflower into a food processor and pulse until the cauliflower pieces are approximately the size of grains of rice. If you’re wondering how to make cauliflower rice without a food processor, let me assure you that it’s very simple. Grab a box grater and working with large chunks cauliflower grate it into rice. Just watch your fingers! Alternatively, you can buy cauliflower rice in the produce and frozen food sections of many grocery stores. How long do I sauté cauliflower rice? Heat some oil or butter in a skillet set over medium heat. 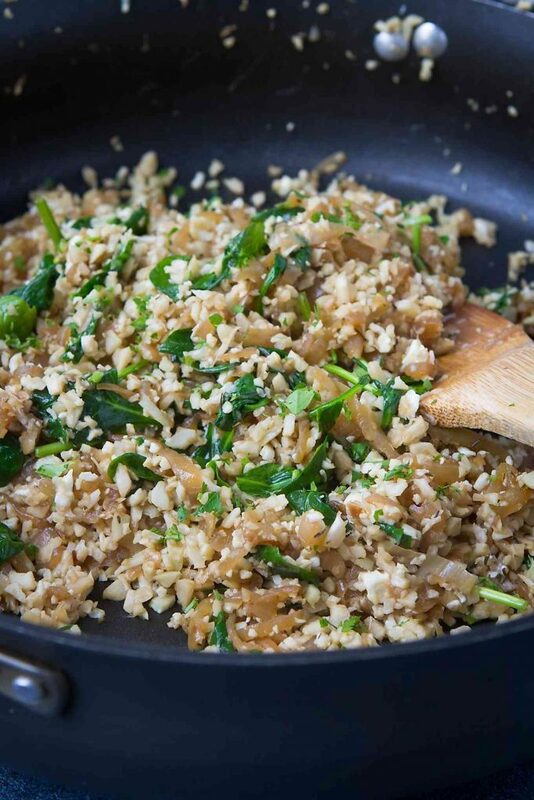 Sauté the cauliflower rice until tender, about 5 to 7 minutes. In this recipe, I choose to sauté with the lid off. Alternatively, cover the pan with the lid so that the cauliflower rice steams and becomes tender more quickly. Heat the olive oil in a large nonstick skillet set over medium heat. Add the onions and cook until softened, stirring occasionally, about 10 minutes. Cover and cook until the onions are golden brown, 8 to 10 minutes, stirring occasionally. Add 1/4 cup water and thyme, cover the pan again and cook until the onions are deep golden brown, about 15 minutes. Stir in the garlic, balsamic vinegar, salt, ground pepper and an additional 1/4 cup water. Cover the pan and cook until the liquid is absorbed. Add the cauliflower rice and cook, stirring frequently, until the cauliflower is starting to soften, about 5 minutes. Add the spinach and feta cheese, and stir until the spinach is just wilted. Stir in the parsley. Serve. I made stuffed chicken breasts for dinner last night and served this cauliflower rice as a side. Every person in my family ate two helpings of the cauliflower and barely finished their chicken. LOL. We loved it! Great low carb alternative to regular rice! 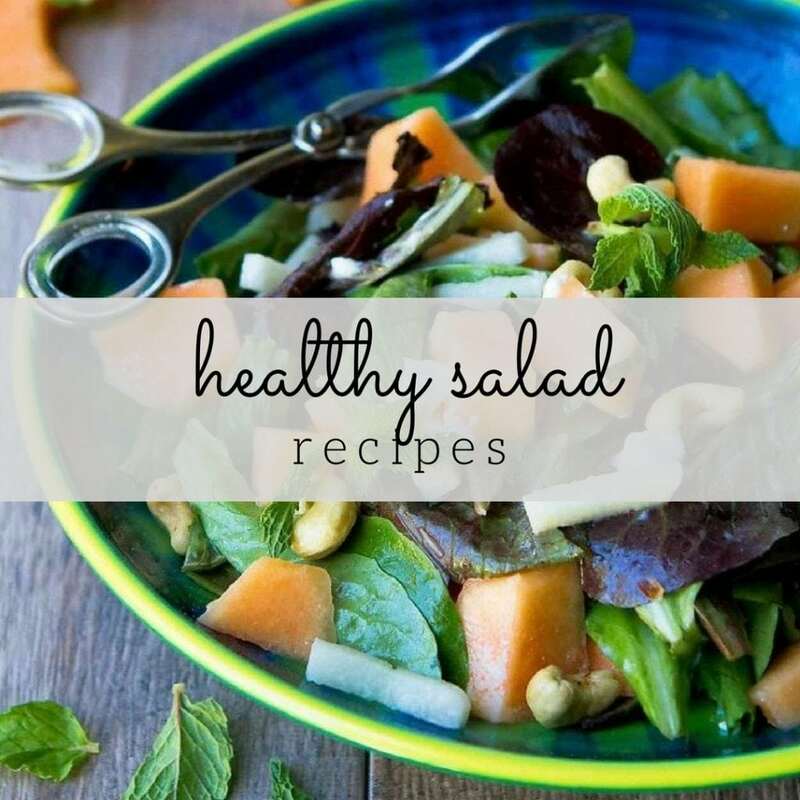 Healthy and delicious is my favorite combo! I am such a cauli rice freak! This was made for me! 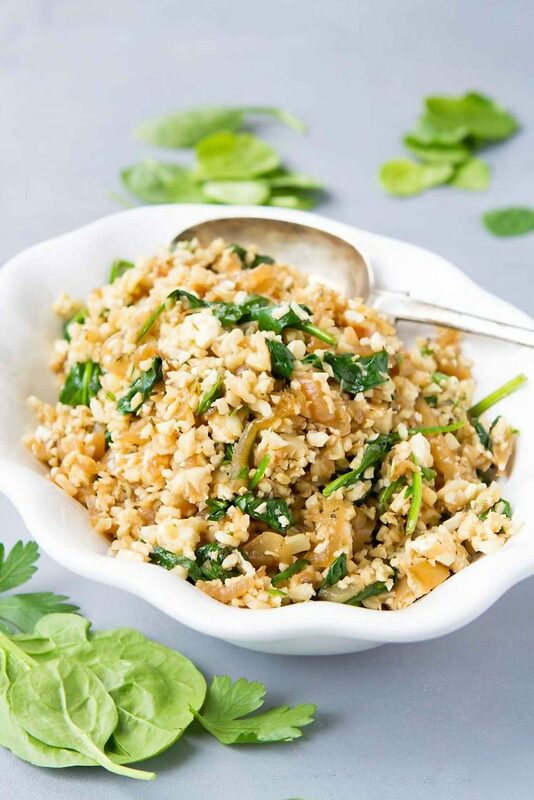 Such a delicious side dish, love cauliflower rice! 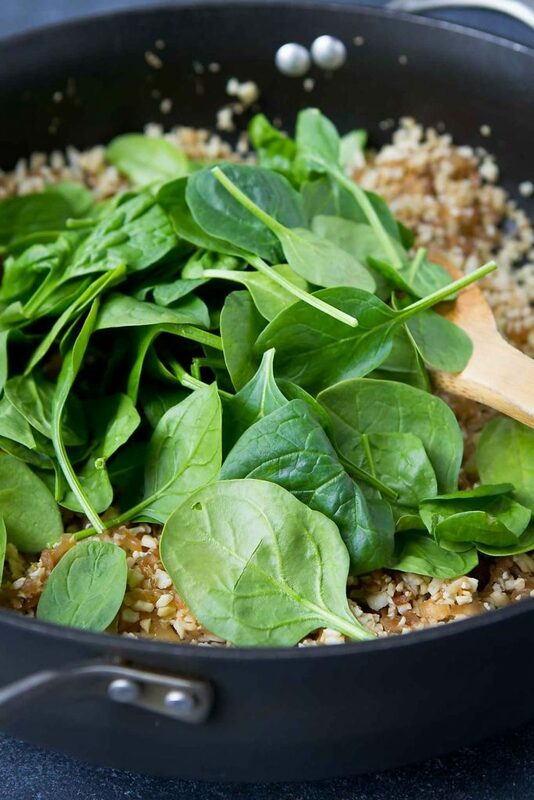 This looks fantastic and I love the idea of adding spinach to the cauliflower rice. Can you please specify what a serving size is or how many servings this recipe makes? I don’t see what a serving size is anywhere in the calculation. 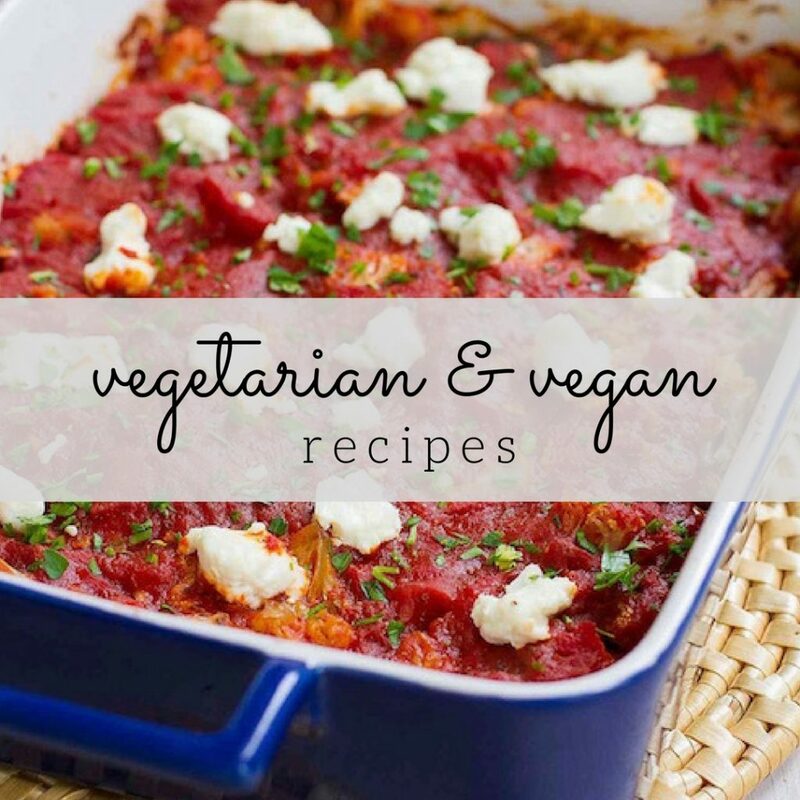 Many thanks for a great looking recipe! It takes a bit of time to prepare but worth it! So very tasty and out thanks to you!